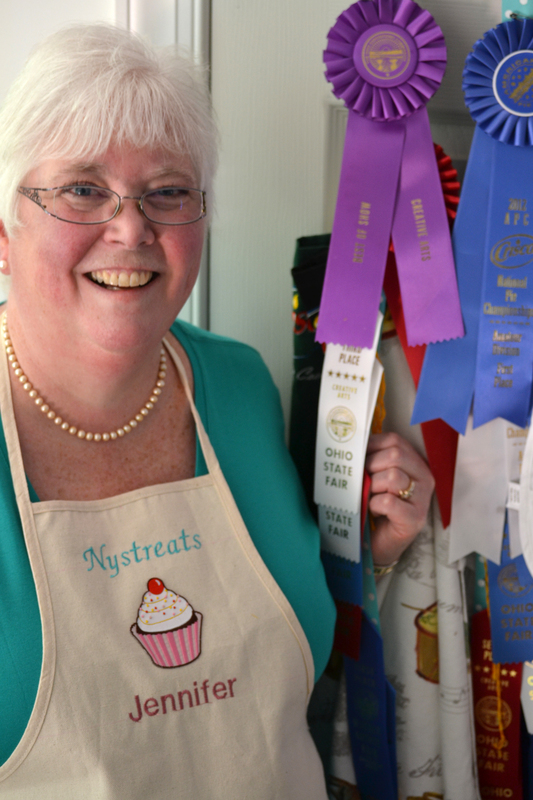 Jennifer is a national award winning baker (and has the ribbons to prove it!) and Amy has won awards at the local level. One of the cookies we will be selling took the grand prize ($10,000) in one of Crisco’s national recipe contests. You will definitely want to try one or two of these. Many of the cupcakes we will be offering took prizes at the Ohio state fair. We scratch bake everything, using only the best ingredients…real butter, real maple syrup, real everything! 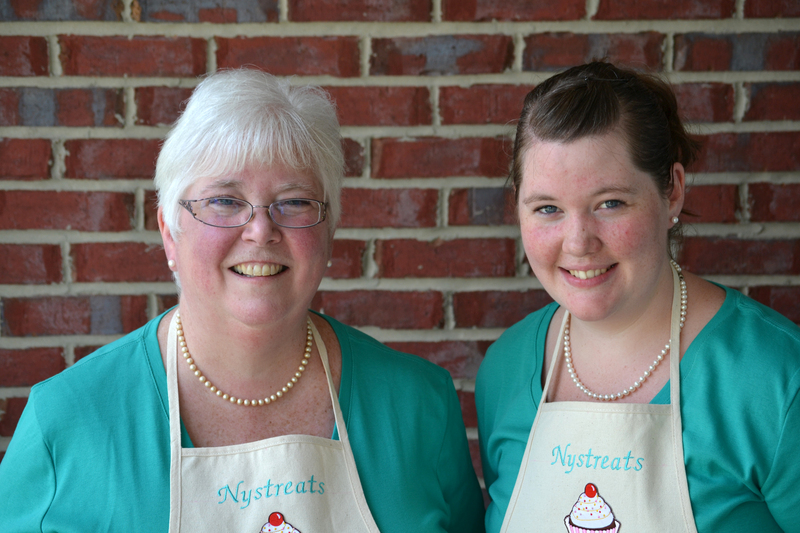 We just want to bring a smile to people’s faces and what better way to do that than with a treat….a Nystreat! We purchased a 2-pack of your $10,000 cookie this morning, Aug. 18th, at the Farmers Market in Wilmington and brought them home to Louisville, KY, where we thoroughly enjoyed them with cups of coffee. It was nice to meet you and learn about your baking successes. Good luck in all your future endeavors! Thanks! Getting to talk with all my wonderful customers is my favorite part of working at the market! It was a pleasure to meet you and I’m glad you enjoyed your cookies!